Watching the Black Girls Rock awards and listening to Michelle Obama’s speech talking about her own experience: “when I was a girl, I had parents who loved me and believed in me. I decided that I wasn’t bossy. I was strong. I wasn’t loud. I was a young woman with something important to say. When things get hard, that’s not always a sign that you’re doing something wrong. It’s often a sign that you’re doing something right. I want you to work as hard as you can. Learn as much as you can. 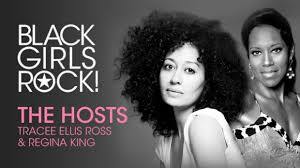 That is how you will go from being black girls who rock to being black women who rock”. I am grateful to you Mbewu ladies, for taking time in reading and responding to my emails, for being interested in what I wanted to do in my community and making a difference in this beautiful country we live in. You are all phenomenal women; you are a true living testimony of black girls who rock and growing into black women who rock. What is amazing about you all is that you are not doing this for yourself but you are doing it for all your peers, women around you and the next generation to come. Having an opportunity to attend your mentorship programmes and participating in your volunteering programmes as a Mbewu community member, I have learnt that you are the living proof of your Mbewu name, the Seed that you are planting to all of us and those Kids from uThanduwazi Academy program is a seed of a beautiful flower that blooms beautifully. Keep inspiring young people, I wish you all the best and wish your forum growth.and may your legacy live on. You guys have inspired me to convince my book club ladies “Puo Ya Basadi” to be part of the Soweto book club programme, I believe in team work and believe these amazing ladies will contribute towards the success of the programme. Black girls, we will rock by empowering women and acknowledging one another, by seeking others to create growth and transformation which means that we need to stop seeing colour in one another, because of inequalities that have been imposed on us, it is our responsibility to ensure we empower people of colour. Remember God put us here as human beings to help one another, to be kind and generous to all those around us and to stop seeing colour and using Apartheid to our detriment. Rather use your past and your divine nature as empowerment tools for the future. It is time we start to celebrate and acknowledge one another’s achievements. It is time to pat someone’s back and say “Well done sisi, you rock”. It is time to stop looking at each other as competition or a threat, but look at each other as warriors who are brought to this world to help one another to achieve their dreams.